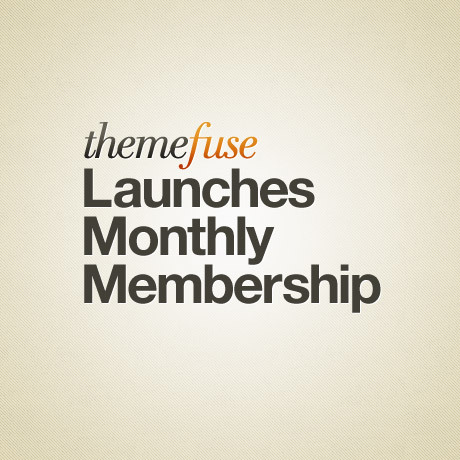 ThemeFuse has recently launched its Monthly Club Membership. For a monthly fee of $17 a month + a one time fee of $199, members get all themes on the ThemeFuse inventory including future themes and updates over the course of your Club Membership. On top of this, Club Members enjoy additional perks such as VIP status on the support forum and can take special sneak peaks in the Members area of the ThemeFuse website with the privilege of deciding what themes to create next. In addition, extra money comes with every user that comes through a member’s affiliate link. Member gets 30% on the initial fee and 10% on every monthly fee of every user that joins through his/her affiliate link. This scheme replaces the “All Theme’s Pack” product. As a special offer to purchasers of the old scheme, the initial $199 is waived. These members only need to pay $17 monthly fee. All you need to do is email your “All Theme’s Pack” transaction ID and ThemeFuse will email a voucher for the $199 initial registration fee. Single themes at ThemeFuse cost $49 for standard single domain use and $79 for developer unlimited domain use. These prices do not give the user access to upgrades or new theme releases. A Club Membership takes care of upgrades and new themes. It also gives you access to all themes in the ThemeFuse inventory which is relatively reasonable at $17 a month compared to the single theme pricing if you see yourself using a lot of themes for a lot of websites. The one time fee is valid for as long as you keep your membership current. If you decide to cut your membership and re-continue your membership later, you will need to repay the one time fee. While other developers offer lower priced membership ($39/$79 yearly), it all boils down to the question of how much are you willing to pay for ThemeFuse themes? If you consider these themes to be the perfect solutions to your clientele’s needs then price should not be an issue. To learn more about the new Club Membership at ThemeFuse, you can visit their blog and read about it.